Business Tech reports on a study by financial services firm, Deloitte, on how South Africans feel about advanced in-vehicle technology and electric cars. According to the South Africans surveyed, 55% of motorists are willing to wait a maximum of only 1 hour to fully charge an all-battery powered electric vehicle. In comparison, it currently takes 3-4 hours to fully charge an electric vehicle at super-charging stations and 6-8 hours at home. Lets look at this a bit closer. 55% of motorists are willing to wait a maximum of one hour to charge their vehicle. That's understandable, people who do a lot of high mileage might not have the time to wait for long charges. At present there are two electric cars on sale in South Africa, the Nissan Leaf and BMW i3 will both take 4-5 hours to fully charge. With ranges of far less than 200km, they're not the type of vehicle suitable for high daily mileage anyway. Fast charging and longer ranges are on the way though. When Tesla launch the Model 3 in South Africa, they are certain to also set up a network of their Supercharger charging points as they have done in every other country they sell their battery powered vehicles in. Tesla's Supercharger stations can charge to 100% in 75 minutes or 50% in 20 minutes. The Model 3 range will be at least 320km which is just over half the distance from Durban to Johannesburg. If you were driving that route you'd stop and charge at about half distance and while you're charging grab something to eat and drink, just like you would if you were doing the same journey in an ICE (internal combustion engine) vehicle. The other solution for motorists who want an electric car but need a longer range than what an electric car can offer right now, is a plug-in hybrid. These have both a battery powered electric motor and a petrol engine. Typically you will plug it in overnight and when you start it, it will first use the battery power to drive the electric motor. Once the batteries are exhausted the petrol engine will take over. The Chevy Volt is one of the most popular plug-in hybrids, unfortunately it is not available in South Africa yet. It has an electric range of 85km and a combined range using both propulsion methods of 680km. This offers the best of both worlds, cheap electric mobility for commuting and short trips and long ICE range for cross country journeys. The survey also indicates that 45% of motorists in the country would be satisfied with the current longer electric vehicle charging times. The current electric cars on sale in South Africa are the Nissan Leaf with a maximum range of 135km and the BMW i3 which can get you 160km on a single charge. In an earlier article I concluded that for my motoring needs these ranges would be sufficient. These ranges would probably cover the majority of motorists daily mileage. If you're not going to exceed these distances in the day then you can just let your vehicle charge overnight and it will be ready to go in the morning. In addition more than half want a minimum distance of more than 400 kilometers from a fully charged electric vehicle while studies show that the majority of electric vehicles currently on the market can only handle between 120 km – 320 km on a single charge. Again it's saying more than half so we can seduce that almost half would be happy with current ranges. Electric cars are coming out with close to or greater than 400km ranges. The Chevy Bolt EV has an all-battery range of 383km and the Tesla Model S can go between 390-539km depending on the model variant. 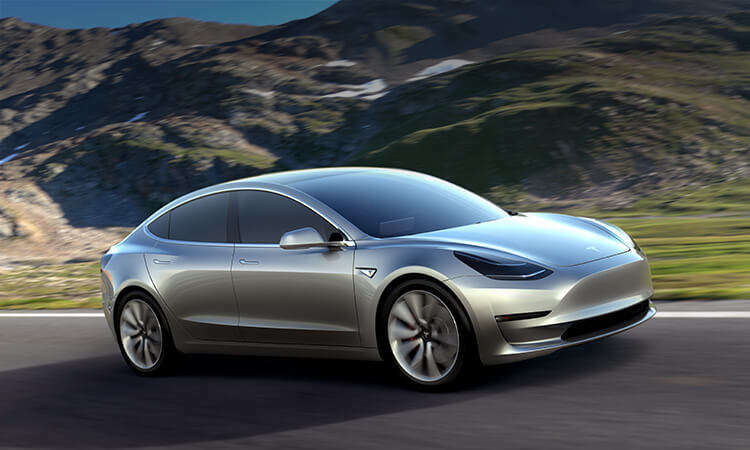 I don't know if and when South Africa will get these models but as I mentioned above, we will be getting the Tesla Model 3 at some point with it's 320km+ range. Most importantly the technology is improving, batteries are becoming cheaper, range is getting longer and charging times are getting shorter. Ask the same questions in a year or twos time and their will inevitably be a swing in favour of electromobility. Where should Tesla place their Superchargers in South Africa? Electric Cars: Will SA switch on? Celebrating 50,000kM in our all electric car!